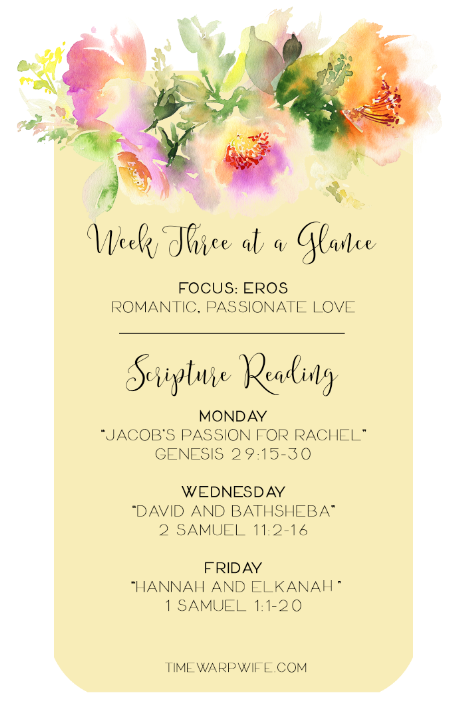 This is week two in our Bible study, “Learning to Love.” We’re taking a closer look at the Greek word “Eros” – a romantic, passionate love. If you’d like to join our study, click here to find the free Bible study guide and all of the information you’ll need to join in. Q. It’s week 3. Am I too late to join in? A. Not too late at all. 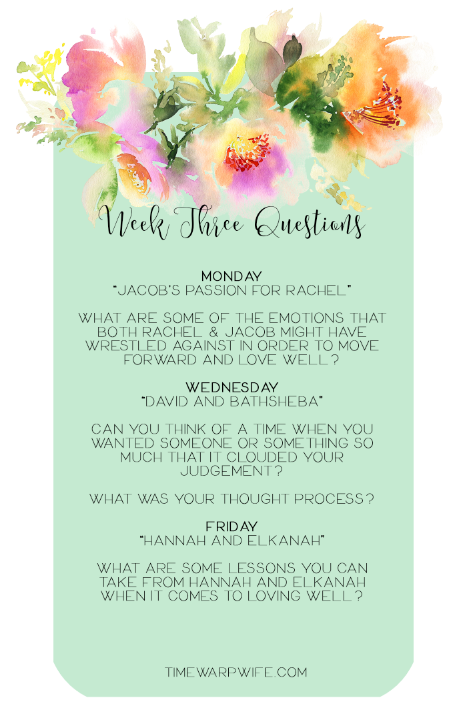 Grab a copy of the free study guide and start on week three. You can catch up on the other two weeks at the end of the study. 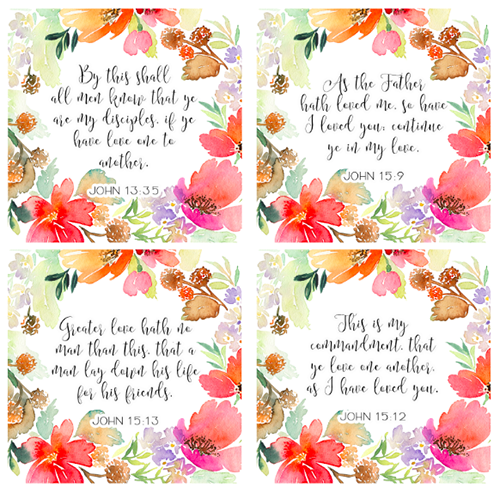 Eros is a romantic love, otherwise known as “being in love.” The word Eros itself isn’t found in the Bible, but romantic love and passion are found everywhere. Eros creates a passion that longs to be filled, which is why it’s sometimes described as a self-centered love. It’s butterflies in the stomach. It’s a longing to have the object of your affection. As you’ll discover in this week’s study. Men (and women) have gone to great lengths to obtain the object of their affection. “The heart wants what the heart wants,” which can be treacherous at times. Jeremiah 17:9 warns, “The heart is deceitful above all things, and desperately wicked: who can know it?” And yet so often, people follow their heart, ignoring the will of the Lord. We see this all the time in our society as people are having secret affairs, stepping out of their marriages because they’ve discovered new love, or having an open relationship with their spouse so that they might both satisfy their desire for lust. Eros is dangerous when we honor it unconditionally or without reverence to God. In The Four Loves, C.S. Lewis describes how lovers idolize eros and give love a law of its own. They will seem like proofs of piety and zeal toward Eros. The pair can say to one another in an almost sacrificial spirit, “It is for love’s sake that I have neglected my parents—left my children—cheated my partner—failed my friend at his greatest need.” These reasons in love’s law have passed for good. We can’t have anyone that we want, and if we expect to we’re living a lie. 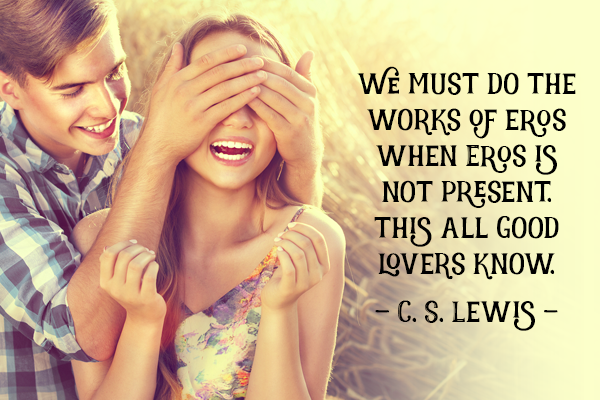 But when we love within the parameters of God’s will, eros is a beautiful expression of love. When we fall in love with another person, we have every expectation and every intention of staying in love. We can’t imagine not being in love. But the thing is that the euphoria of eros is often short-lived. We might start to wonder if we fell out of love. Where did the passion and the excitement go? And where did those old familiar butterflies go? The kind of butterflies most of us are familiar with is a nervous reaction we get when we’re insecure in a relationship. The emotional highs and lows are a rollercoaster of emotions. Why don’t I have the same sweaty palms that I used to? Maybe you still do, but more than likely your love has evolved over time. Take heart. This doesn’t mean that your marriage is suffering in some way. It doesn’t mean that you’ve lost the spark you once had, or that you’re not attracted to one another. It simply means that eros has done its job, you’ve moved on to a new stage in your relationship. A strong marriage has plenty to stand on, and it will stand strong through the years if you continue to love as God loves. There’s more to marriage than eros could ever bring to the table. Unfortunately, some couples don’t truly understand this until they take their last breath. This week is a blend of scripture. One shows us the early stages of Eros and the great sacrifices that lovers will make. The second one shows the works of Eros in a relationship that’s been established for years. Finally, we see a deadly misuse of attraction in the story of David and Bathsheba. Some will define the latter as Eros, while others might simply define it as lust. Here’s the thing. Eros is a physical attraction. It’s euphoria. It’s a deep desire to possess the object of your affection. But if we get hung up on the definition of Eros, we miss the object of this study all together. Let’s focus on the scripture itself. What can we learn from this? What is God saying to us? And how can we apply this to our lives? Come back next Monday for 7 more cards, to complete your set of 28. This study is wonderful. I have been looking for a study for sometime now. I hate that next week is the end. Do you have anything else in the near future? Yes, we’ll do another one about two weeks after this one. I’ll announce it at the end of this study when I have all of my ideas together. 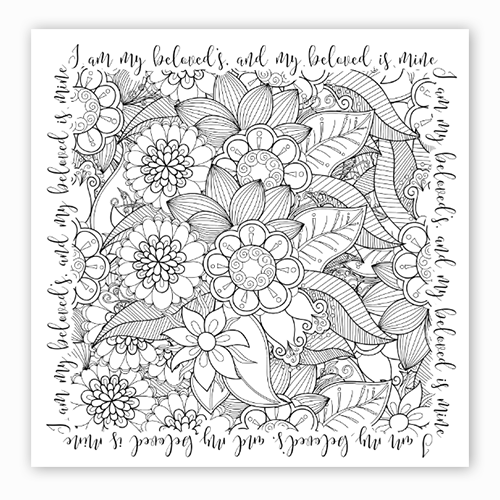 The artwork on the scripture cards is beautiful. Is there anyway to get it so I could use a different translation? It’s stock photography that I got from Bigstock.com. I’m not sure if I would be allowed to hand the image to others to use as it’s not licensed to me. Hope that makes sense. It does — thanks Darlene!